This beautiful bride, Codie, was certainly lucky to have a best friend that happens to be an amazing event designer! 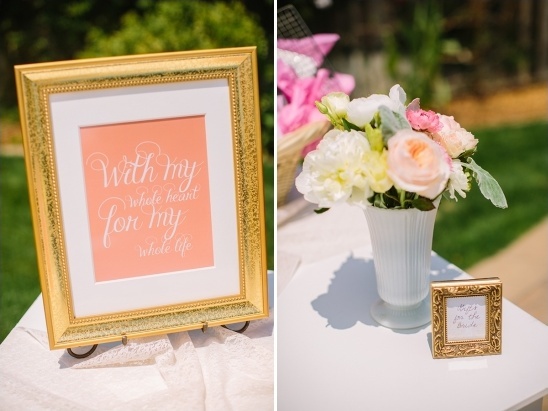 Michaela Noelle (of Michaela Noelle Designs) put together this delightful backyard bridal shower using a color palette of peach and gold along with touches of bright pink and soft green. 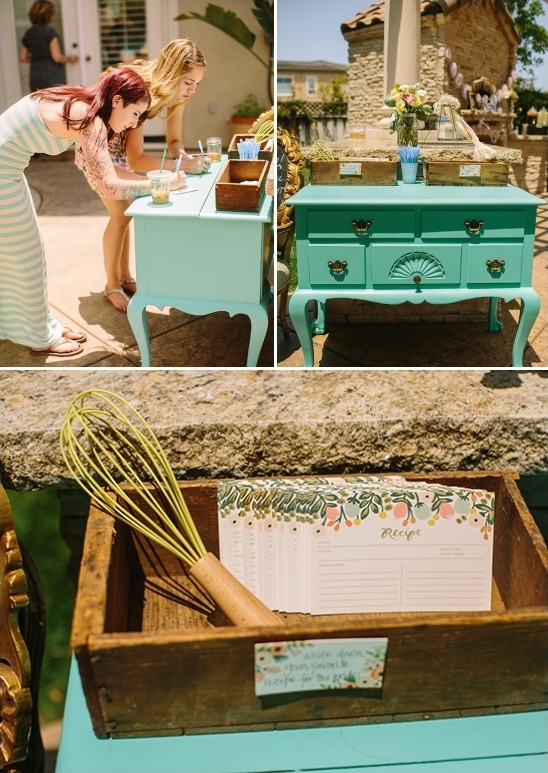 Signs and banners that decorated the vintage furniture from Heritage & Craft completed the overall look. 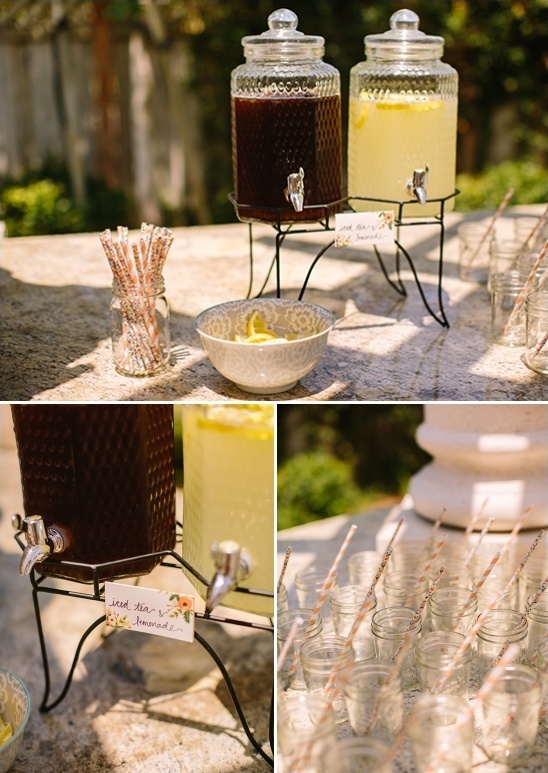 Continue reading for more information about this darling shower from both Codie and Michaela. 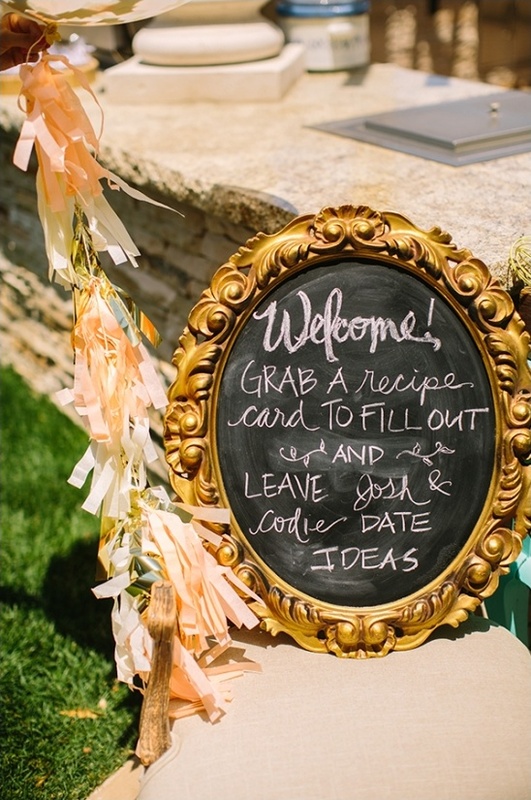 As always, you can view more of the adorable peach and gold details in this backyard bridal shower in the full gallery here, all beautifully captured by Danielle Capito Photography. 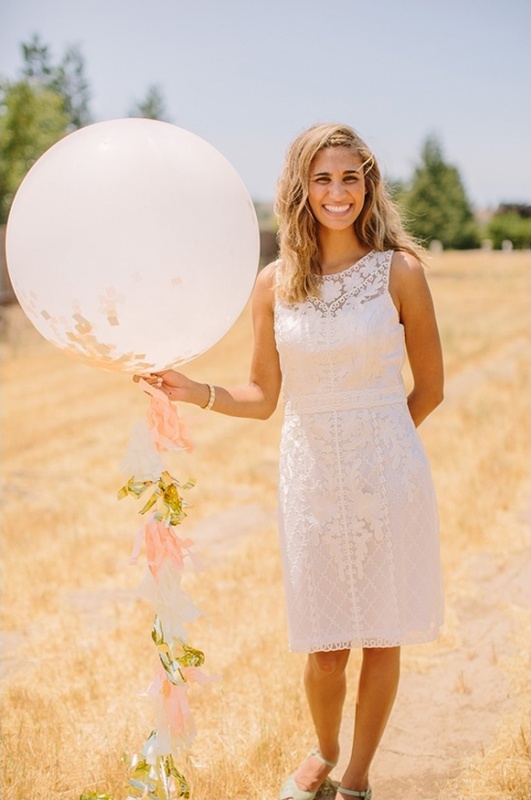 From Michaela Noelle Designs:The bride, Codie, is so full of life and laughter. 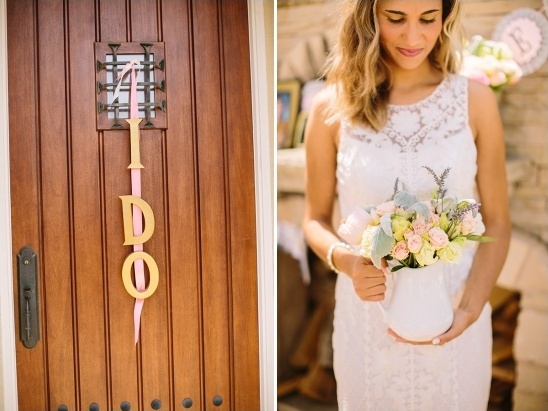 I wanted to capture her sweet personality and heart of gold in the decor, and really delight her with a beautiful shower that would be remembered for years to come. I started with the adorable Rifle Paper Co. recipe cards. 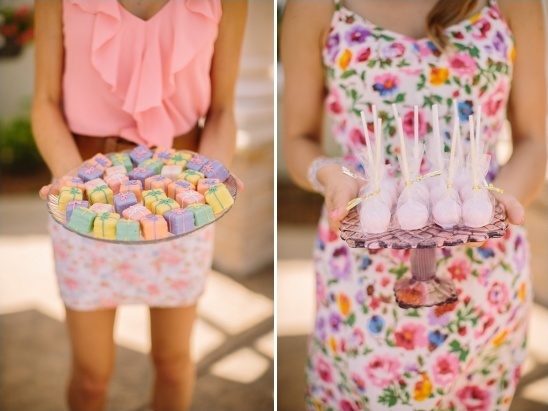 Our color palette evolved from there with soft hues of peach, bright pink, soft green and gold. 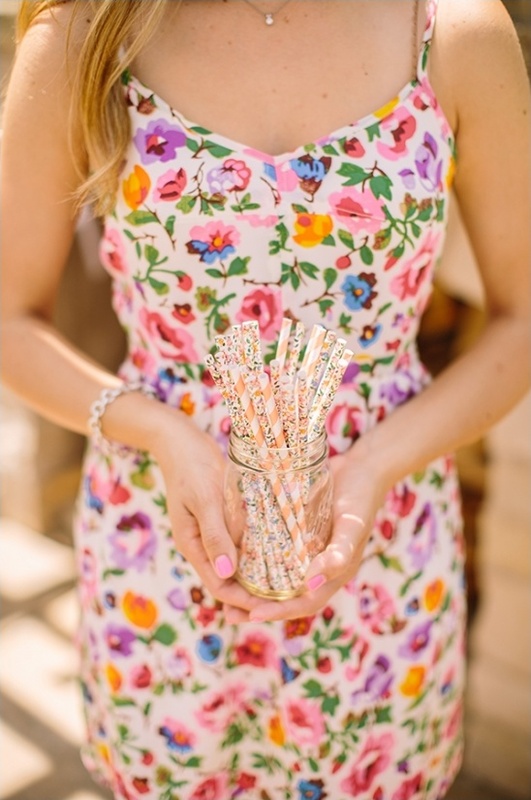 Colorful vintage pieces of furniture, huge balloons filled with gold confetti, and perfectly patterned straws for the mason jars all brought my vision to life. Guests enjoyed authentic tea sandwiches, fresh fruit, cheese and crackers, salads, and the best cake pops you ever did taste. You wouldn't know it, but they're snicker-doodle flavored, and let me tell you - they literally melt in your mouth! Small petit fours were also served at dessert to tie into our "tea" theme. 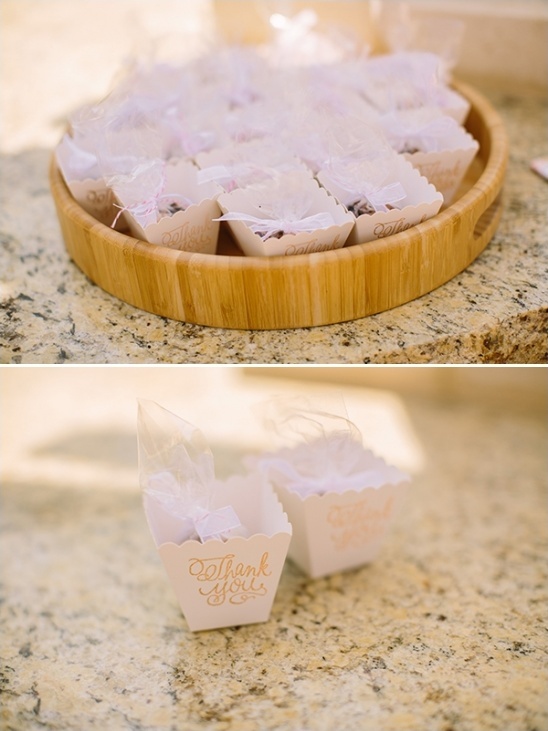 I had a custom stamp designed to adorn the favors, which were delicious loose leaf tea bags for guests to make a cup of iced tea at home. 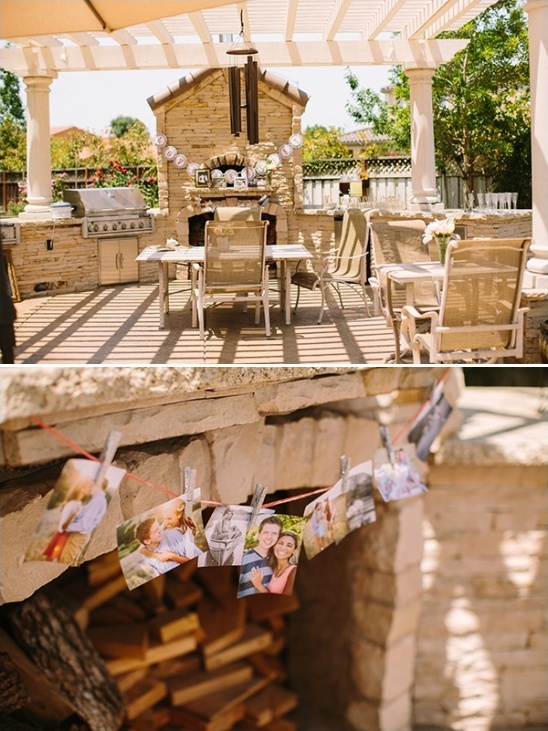 On the outdoor pizza oven mantle, I set out old pictures of the bride and groom, as well as their engagement photos. 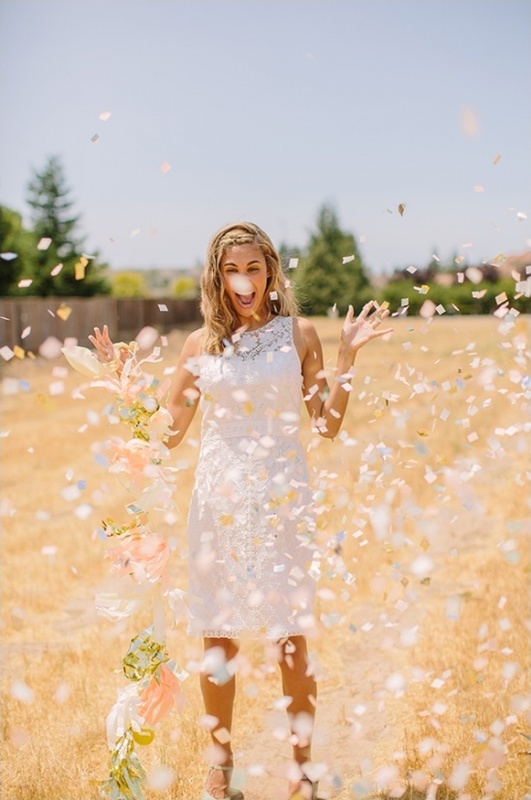 The delicate, feminine flowers were the cherry on top to this girly and whimsical backyard bridal shower. Planning this bridal shower was such a joy for me, both as a designer and a best friend of the bride. The bride's mom was kind enough to host the shower in her beautiful backyard, so already we were offered the perfect backdrop. 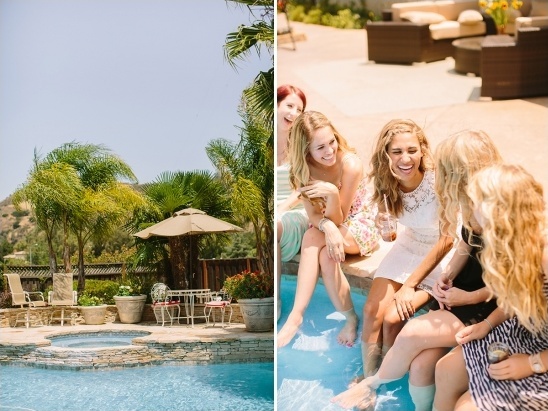 With a stunning pool, waterfall, luscious plants and flowers planted in every square inch of the garden, this backyard bridal shower was sure to be a beauty. 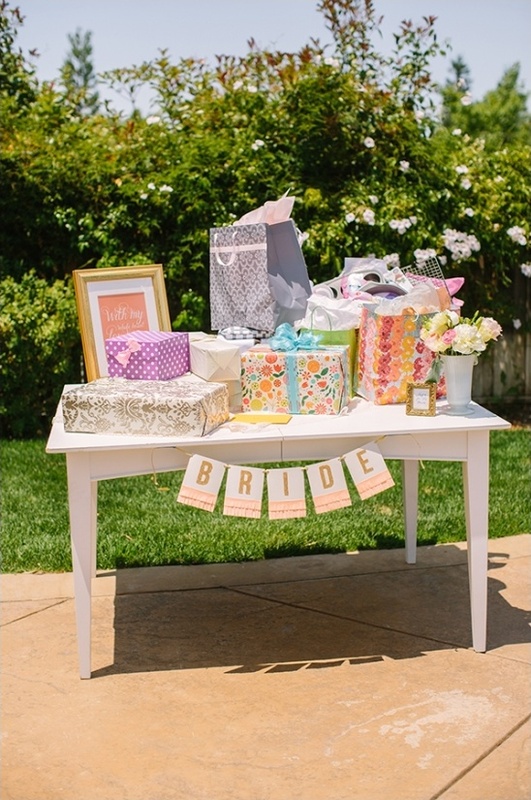 From the Bride:My favorite memory from the shower was when I was opening gifts. We decided to open all of the gifts in doors, in my living room, because it was very hot that day, and as I was opening I got the chance to look around at everyone in one room all together. It was fun seeing people from so many different stages in my life all together. Paper Goods & Calligraphy Rifle Paper Co.